Small Square, Hennenberg House on the Right. 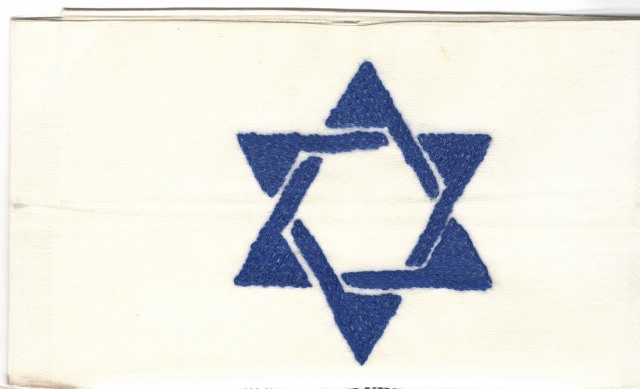 c1939-41. 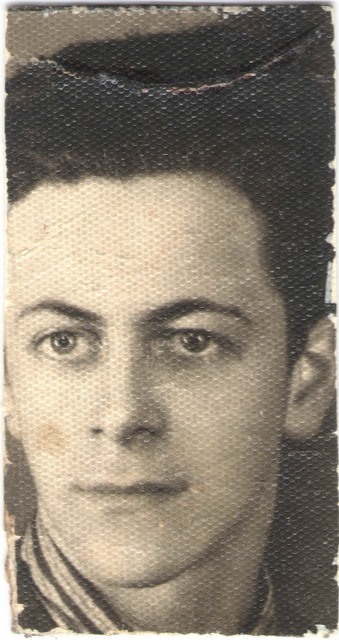 Henoch Hennenberg, 1939. 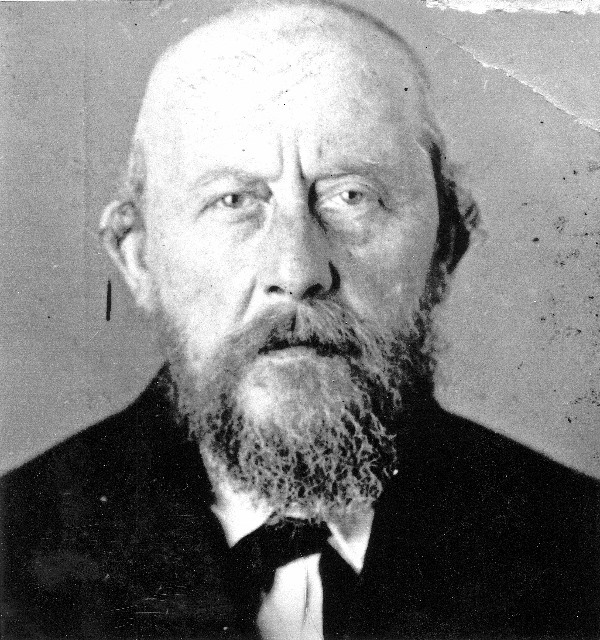 Jacob’s paternal grandfather after his beard and peyos were cut off. Autobahn between Breslau and Klettendorf, 1942. 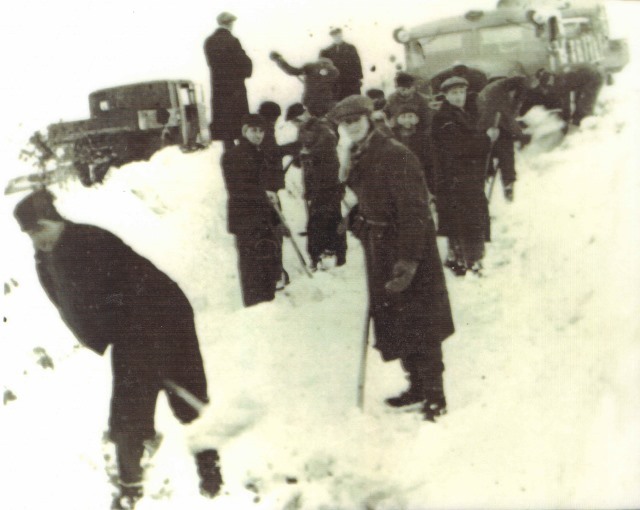 While incarcerated in Klettendorf Forced Labor Camp, Jacob was forced to shovel snow on the highway. 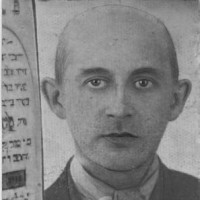 Jacob traded his only possession, a camel-hair blanket, in return for the promise that the German policeman would take this photo and send it to his sister Karola in the Chrzanow Ghetto. 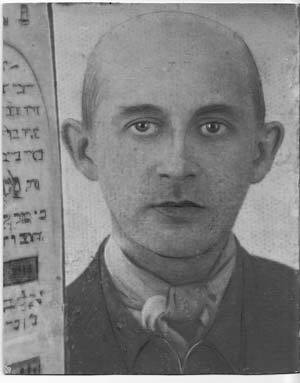 The picture survived with Karola throughout the War and was returned to Jacob when they were reunited. 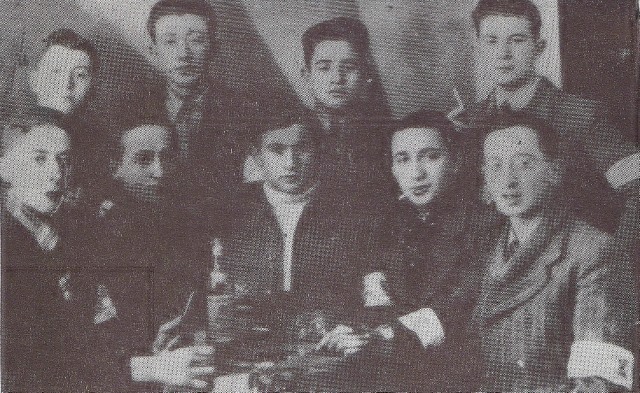 Jacob and Karola were the only members of their immediate family to survive. 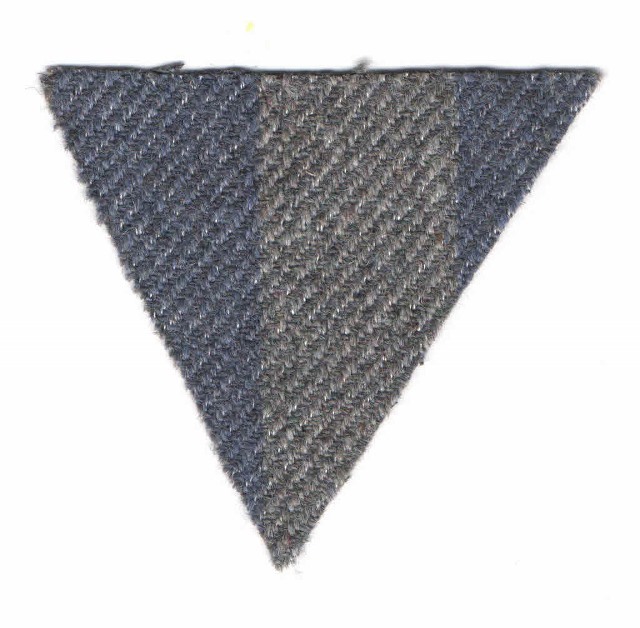 Chrzanower Shtibl, Auschwitz. 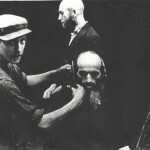 Israel Lieb Bochner, son of Rabbi Aba Bochner of Sucha, having his peyos cut by a Jewish boy under the direction of the Nazi smoking a pipe at right. 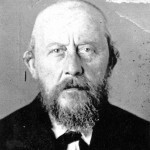 Rabbi Jacob David Bornfriend stands at right with his beard already cut. 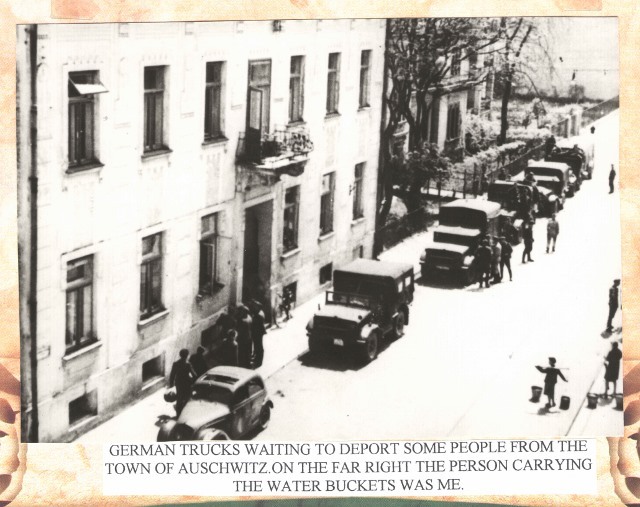 This photo was taken by someone in the Polish underground resistance and sent to Jacob after the war. Edwin Hoffman son of Lola. 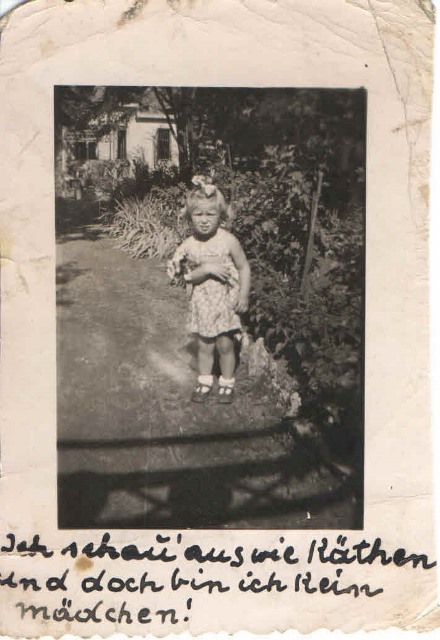 This picture was sent to Edwin’s father in a Budapest jail in 1943. Note at bottom: I resemble a girl, but I am not a girl. 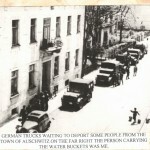 Jagielonska Street, Auschwitz, 1940. 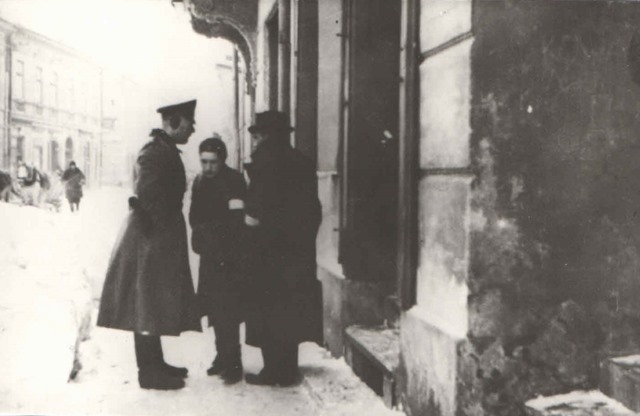 An old Jewish man and a young Jewish girl are stopped by German policeman Schtreckenbach. They are standing in front of Adam Kosyczark’s house. 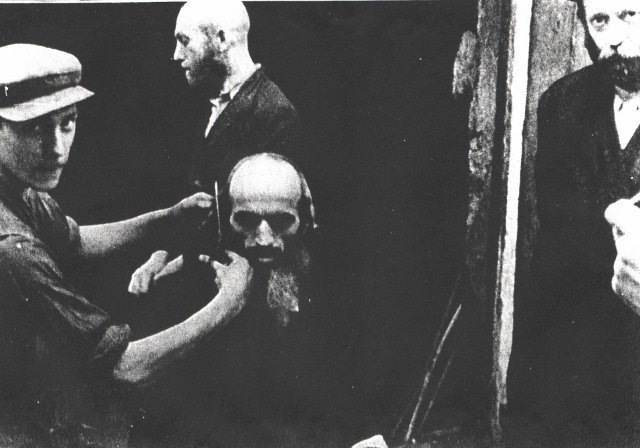 In the left background, behind the sled, is Kluger’s house, where Sternberg had a clothing store. 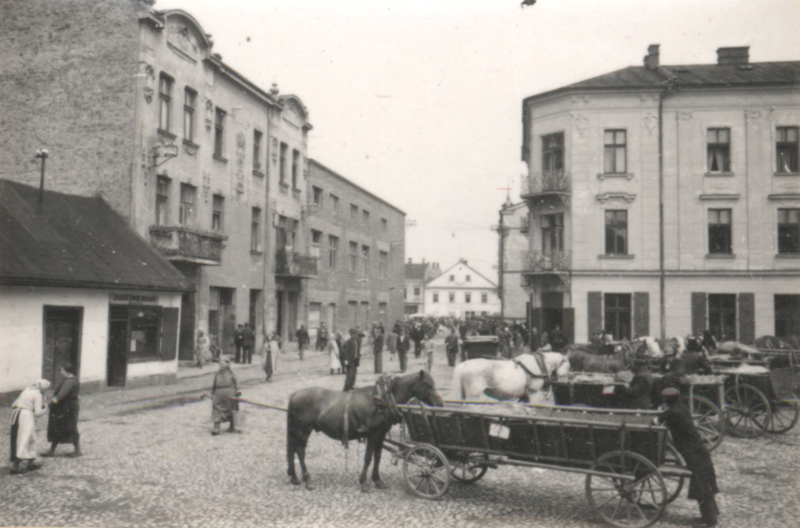 Further, is the entrance to Berka Joselewicza Street, and beyond that is Isaak Sadger’s house and hardware store.